Video demonstration project. Follow along with Jen and Tammy for more detailed instructions in our “Wooly Mug Rug” YouTube Series. What would the holidays be without the sights and smells of peppermint and pine? 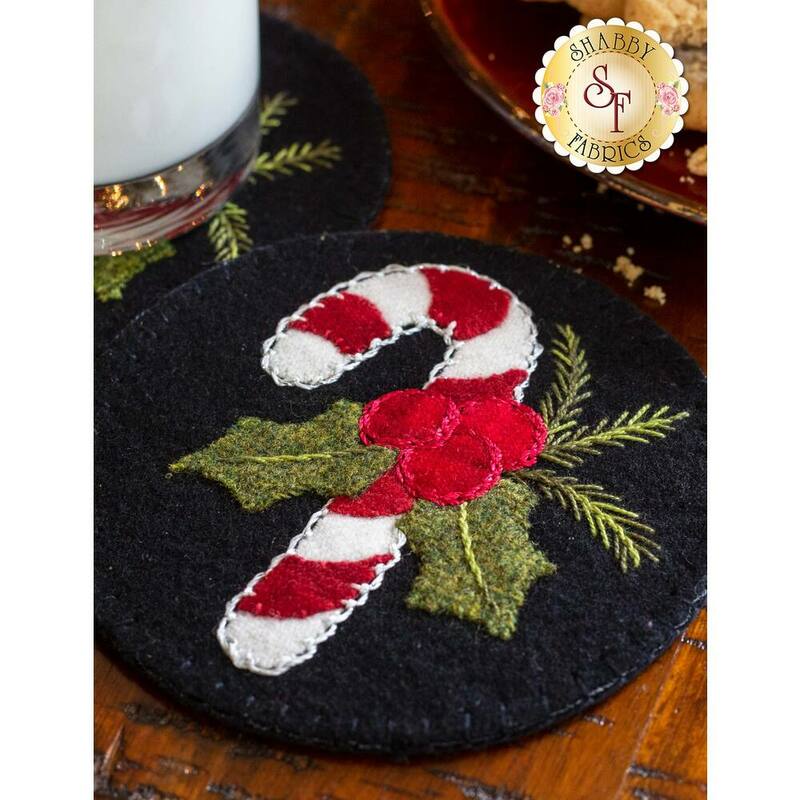 The Wooly Mug Rug for December features a vintage candy cane adorned with a bough of holly, and a delicate pine sprig from the Christmas tree. This design is brought to life with rich hand-dyed wools, and beautiful hand embroidery created using variegated and metallic-accented thread. 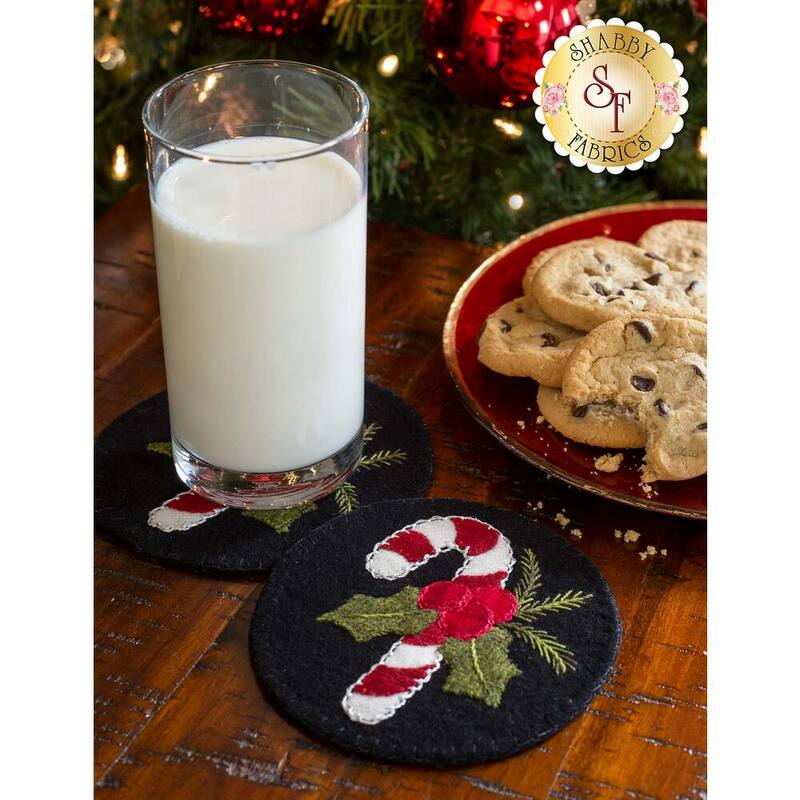 Brighten up your coffee table with this set of 2 mug rugs! Makes a great gift! These unique projects are made even more fun because Jen and Tammy have filmed video tutorials for each design that show you how to put it together and teach you new decorative stitches for embellishing. Each kit makes 2 mug rugs, and measure approximately 5" x 5". Download the Wooly Mug Rug December diagram HERE! 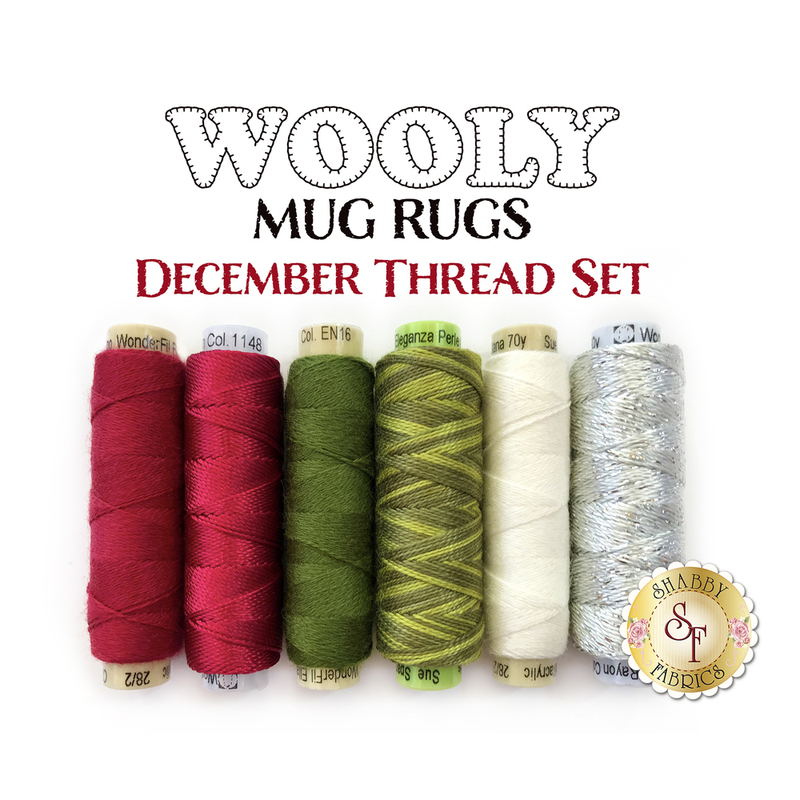 6pc Wooly Mug Rug December Thread Set - Coordinated Ellana wool threads, Dazzle thread, Razzle thread, and Eleganza thread add that extra special touch to your mug rugs! Already have some of the spools? Threads are also available individually! Creative Stitching Book - Very helpful for learning different stitches! Wafer 1 Lightbox - 9" x 12½"